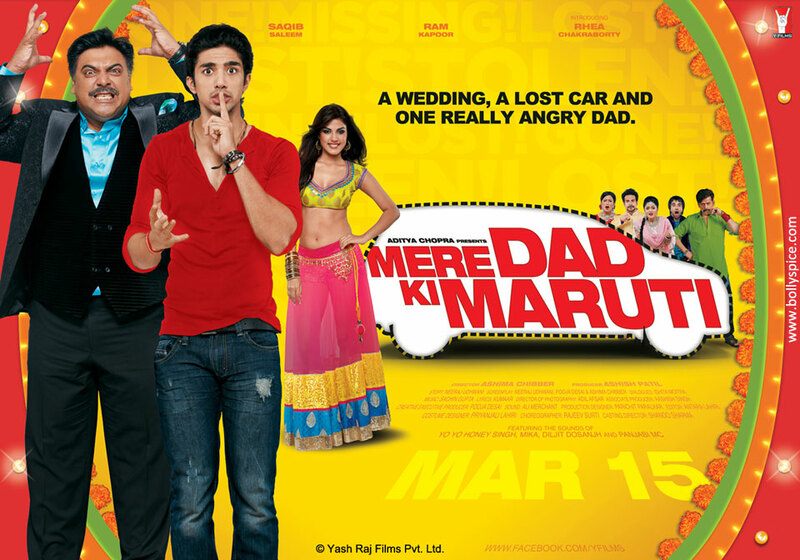 Yash Raj Films’ next venture under the Y-Films banner, Mere Dad Ki Maruti gets a date with the box office. YRF is becoming the perfect platform for budding talent. After the studio successfully launched Ranveer Singh and Anushka Sharma in Band Baaja Baaraat followed by Arjun Kapoor and Parineeti Chopra in Ishaqzaade, it is now all set to launch Saqib Saleem and Rhea Chakraborty through their youth studio in Mere Dad Ki Maruti. Saqib had earlier made his debut with Mujhse Fraaandship Karoge under the same banner. Mere Dad Ki Maruti also stars Ram Kapoor, one of television’s most loved actors as the khadoos dad in his first full-fledged comedy role. MDKM also marks the directorial debut of Ashima Chibber who has been associated with some of the most talented directors of our times. Beginning as Shimit Amin’s First AD on Ab Tak Chappan and Chak De India among others, Ashima’s last project was as First Assistant Director to Imtiaz Ali on Rockstar. Mere Dad Ki Maruti sure promises to be one crazy ride!